Most doctors and scientists pretty much agree that genetics are not a cause of MS. It is true however, that if there are family members who have multiple sclerosis, your chances of developing it are slightly higher. We've asked Cir's doctor about this on more than one occasion. The first time, he assured us that we didn't need to worry. Our children had only a slightly higher risk of developing MS than the average population. Another specialist, Lael Stone, at the Mellen Center at Cleveland Clinic also gave us encouraging news. She said that in all her years of working with multiple sclerosis patients, she had only seen 1 or 2 cases of a father passing it on to their children. Most of the incidences she saw were mothers passing it to their children. Now, I know this isn't good news for women. But even then, the chances are still low. Also, Caucasians are more likely to have MS, than other races. When Cir first went to the doctor complaining of imbalance and optic neuritis, the doctor told him he couldn't have it because he was African-American and male. But as we now know, that was not the case. Recently we asked Cir's neurologist about whether our children were at risk - if genetics played any part in whether family members, specifically in children who have parents with MS. He told us about a study he had been doing. The study found that vitamin D levels in his patients with MS was a lot lower than they should be. Genetics - no? Precautions - yes. We encourage our three children to take vitamin D and ask them to make sure our granddaughters take it as well. The way we see it, it can only help because it has so many benefits and it definitely won't hurt. Our physical make up, as we see it, plays a role, not just by itself, but when other factors, such as negative environmental factors, for example, are present as well. 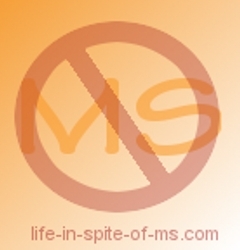 To read more about the causes of MS, click here.